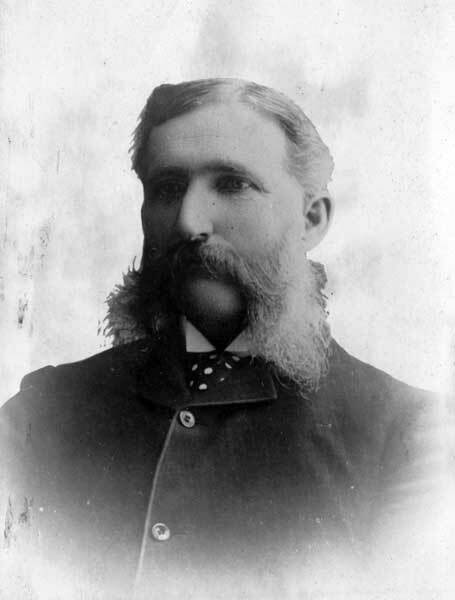 Merchant, MLA (1886-1888), MLA (1888-1892), Mayor of Winnipeg (1887-1888), Provincial Treasurer. Born in York County, Ontario, on 21 September 1843, he joined the staff of the farm implements firm of A. Harris, Son & Co. at Brantford, in 1873. Four years later he became a partner, and in 1879 was sent to Winnipeg to become its western manager. In 1881 he was elected an Winnipeg City Alderman, and became chairman of the finance committee for the City of Winnipeg. In 1887 he was elected Mayor, and became Vice-President of the Winnipeg Board of Trade. He was re-elected Mayor in 1888. The same year he accepted the portfolio of Provincial Treasurer in the Greenway government. He was elected in a by-election in March 1888 representing Shoal Lake, and re-elected in July 1888 in the provincial election for North Winnipeg. As Provincial Treasurer he negotiated in London, England for the first provincial loan to build a competing railway line between Winnipeg, Portage la Prairie and Brandon. He resigned in 1889, and in 1891, when his firm became Massey-Harris, he moved to Toronto to become director and general manager. In 1903 he became president and general manager. He was called to the Senate in 1901 and knighted in 1911. He married Louisa Irwin in 1873, and they had one daughter. Jones died in Toronto on 16 April 1917. Lyman Melvin Jones, Dictionary of Canadian Biography XIV, 545-46.